A postcard is a great reminder that people can take with them. Pass out at community events or leave with supporting businesses! 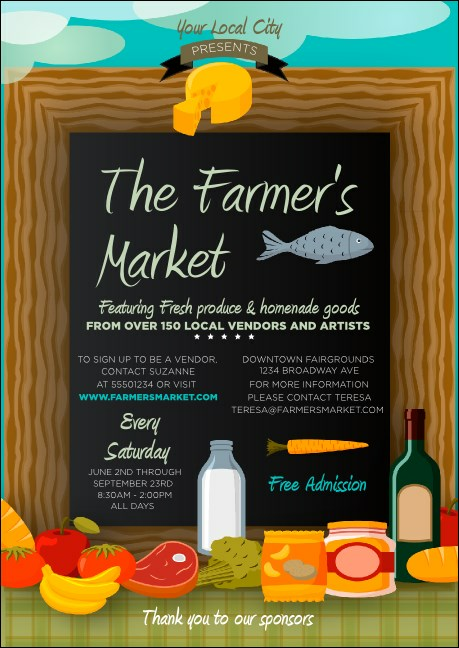 The Farmer's Market Postcard features colorful fresh foods and a chalkboard with market details. Fill in 23 lines on the easy template below and we'll send them your way! Send a healthy message with TicketPrinting.com.